A wash bag is the perfect accessory to transport your beard care utensils such as razor, comb, brush and various maintenance products safely and elegantly. It goes without saying that someone who has invested the time and effort in his magnificent beard also wants to store his tools in an elegant container. The same is true for men who celebrate their shaving and like to carry the necessary accessories in a suitable toiletries bag. An exquisite travel bag is also ideal for holidays or business trips. Frequent flyers find it especially useful to have the essentials for beard trimming or shaving always to hand. Business travellers are well used to shaving or styling the beard during a stopover at the airport. You have the choice between simple zipped toiletry bags and those with snap closures. Both variants are available in different sizes, shapes and materials - for example, in tanned cowhide or waterproof canvas. 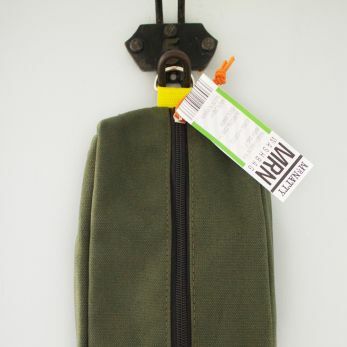 A travel case with zipper is recommended to pack the essentials in the most space saving way. A toilet bag with prefabricated compartments or holders for razor, shaving brush or other tool shows is a special way of showing that you take your beard care seriously. It makes a good impression when you unfold your noble leather case and all the beard tools or grooming tools are ready for use. The professional knows, of course, that a leather bag itself also needs care and you never put a wet shaving brush into it. Washbags already equipped with shaving or facial care sets or practical sets with different beard care products in handy travel sizes are ideal for men who are new to men’s grooming and maintenance.